A Cal Poly student has been diagnosed with chickenpox, university officials announced in a message to the campus community on Tuesday that stressed the serious nature of the illness. Health officials have confirmed the diagnosis, the message said. In an attempt to reduce the risk of exposure to others, university officials working with the student to identify the areas on campus the individual visited. According to the Centers for Disease Control and Prevention (CDC), chickenpox is a highly contagious disease that affects adults, as well as children, and spreads through close contact. 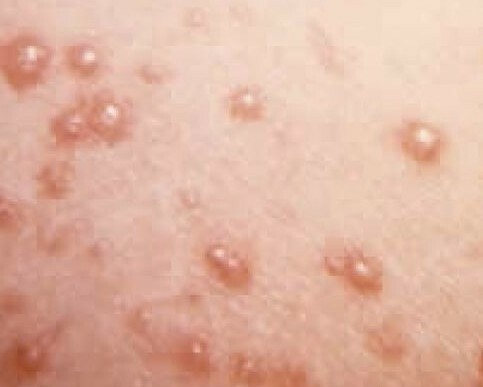 A person who contracts chickenpox is contagious from one to two days before the onset of an itchy, blister-like rash until all lesions have scabbed. It takes about 10 to 21 days following exposure for a person to develop chickenpox. In addition to the rash, which first appears on the chest, back and face before spreading all over the body, chickenpox symptoms include fever, headache, fatigue and loss of appetite. Those symptoms may develop one to two days before the rash. Health officials suggest vaccination to prevent chickenpox. Every year, more than 3.5 million cases of the disease, 9,000 hospitalizations and 100 deaths are prevented by chickenpox vaccination in the United States, according to the CDC. Individuals who show signs or symptoms of the disease should seek medical help immediately. Likewise, health officials recommend minimizing scratching to prevent the virus from spreading and minimizing exposure to others by staying home until lesions scab over.